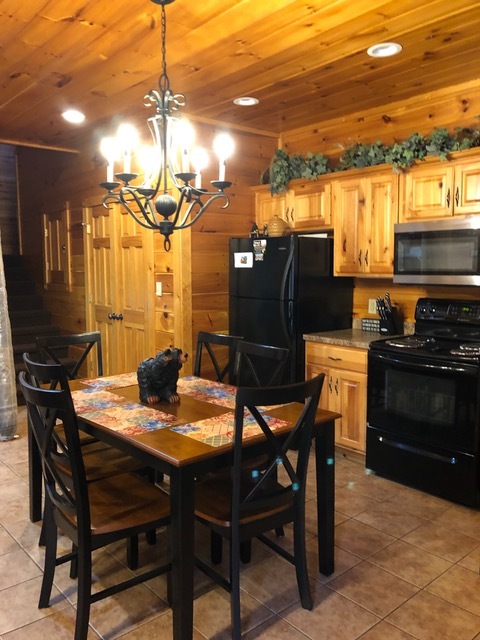 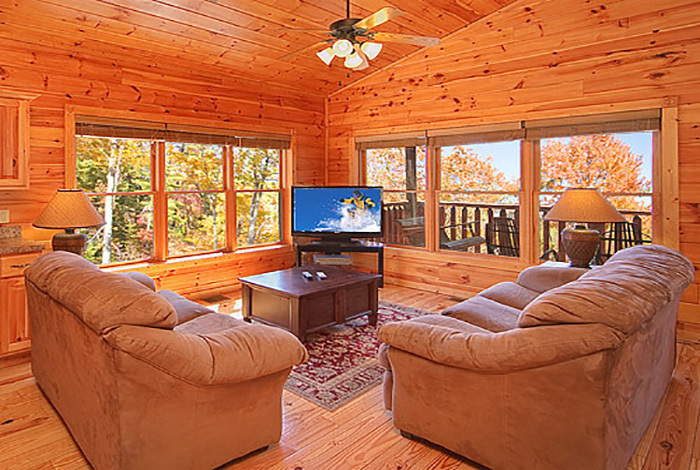 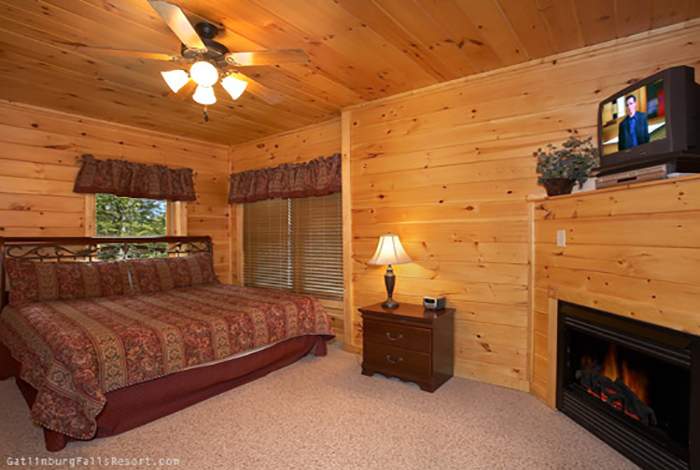 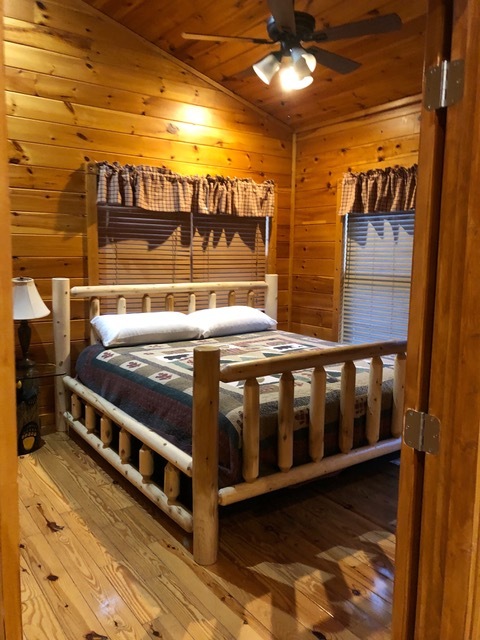 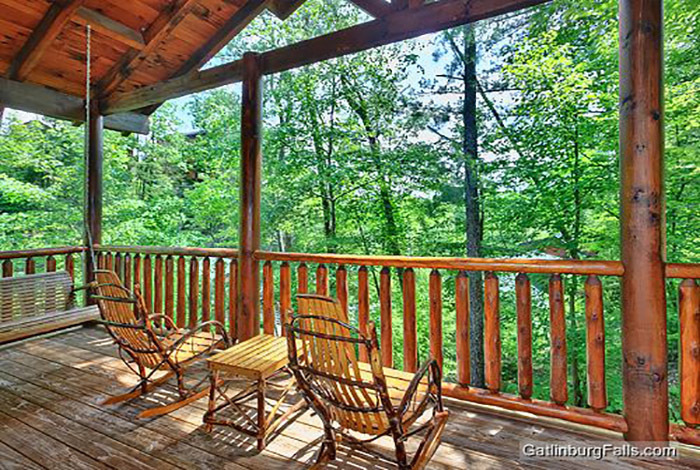 Come relax in the comfort at Bear Tracks at Hidden Valley, a 2 bedroom luxury cabin rental in Gatlinburg that makes for the perfect escape. 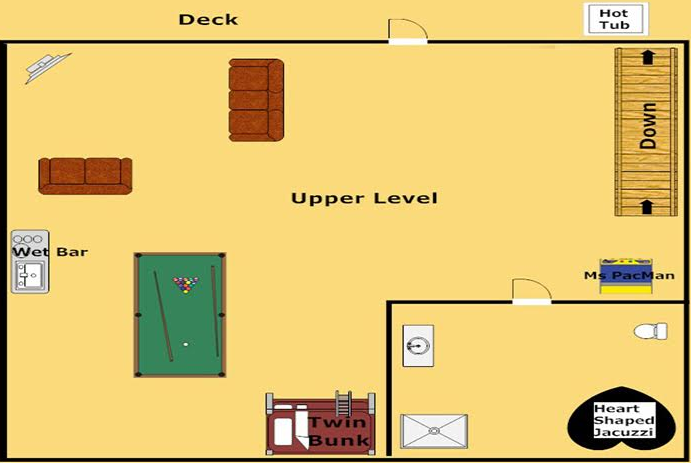 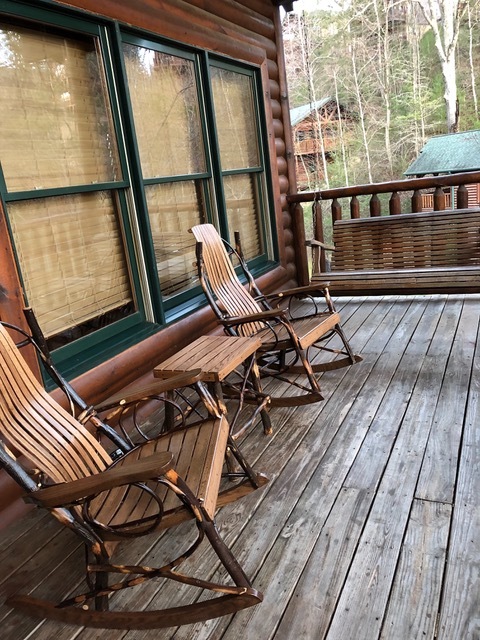 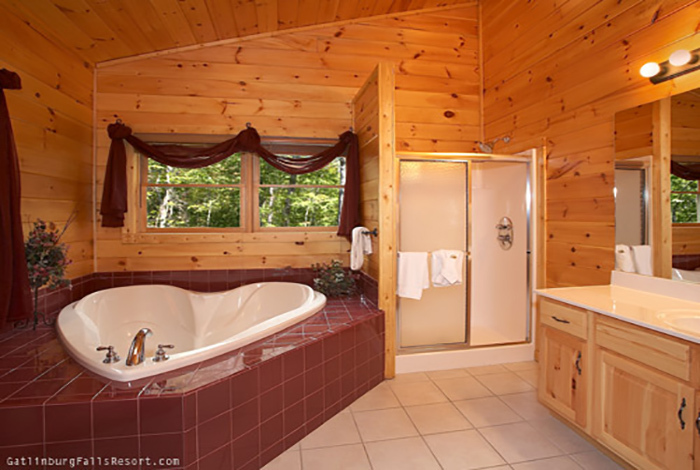 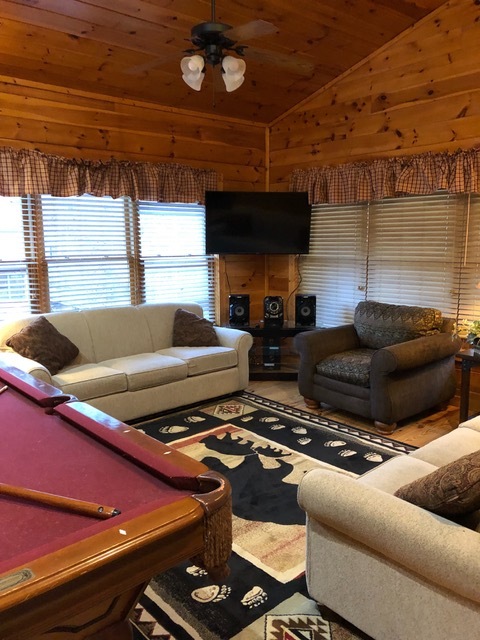 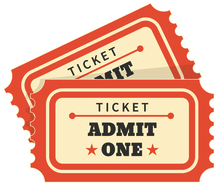 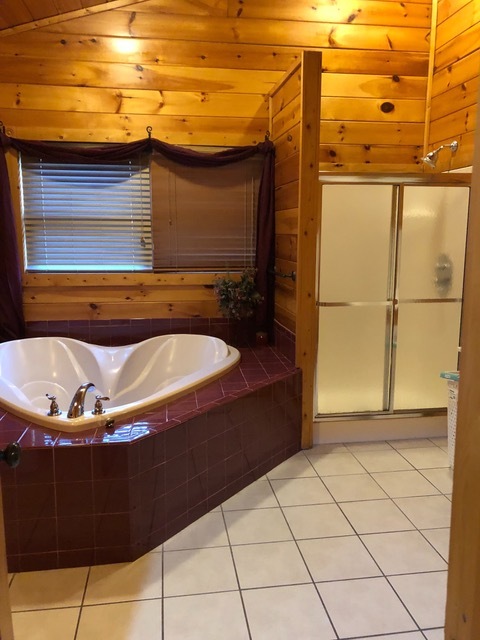 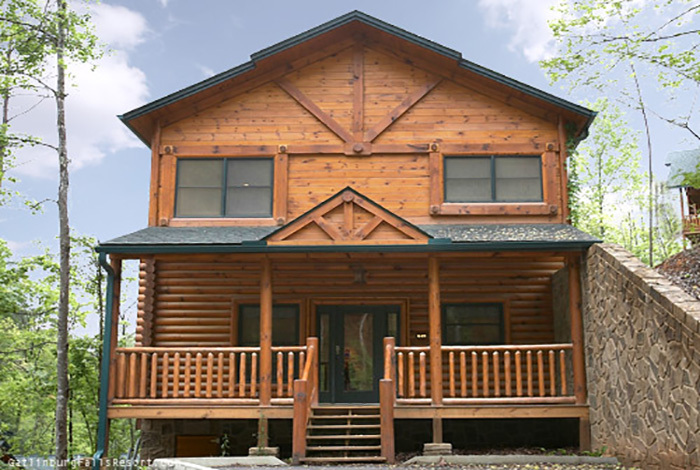 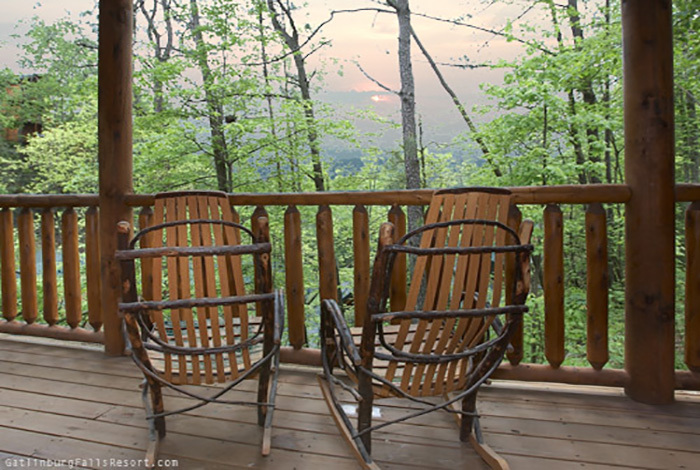 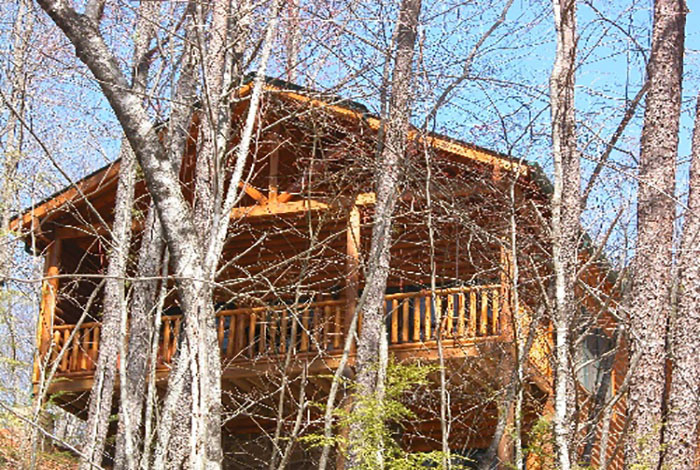 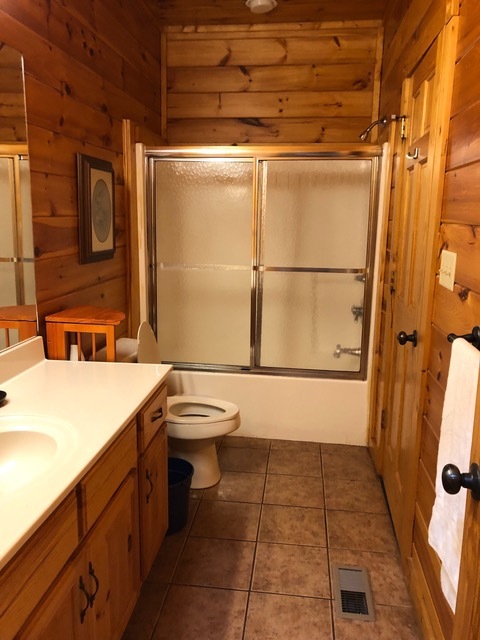 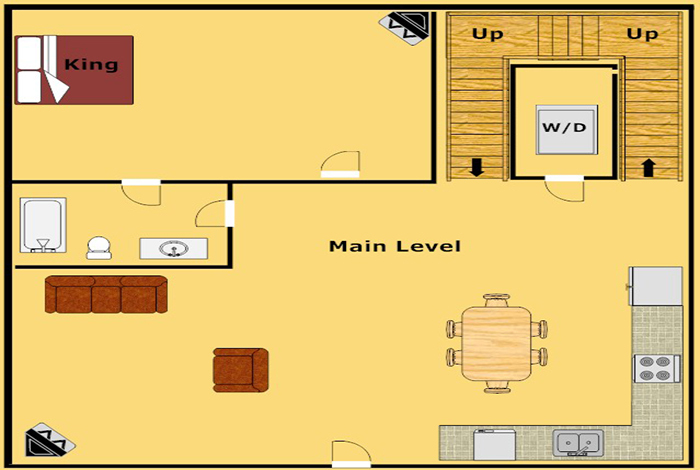 You and your loved one can take in the breathtaking mountain scenery from the back deck while sitting in either your rocking chair or hot tub, or step inside and enjoy your big screen TV, air hockey table, Ms. Pac Man/Galaga arcade game, and wet bar. 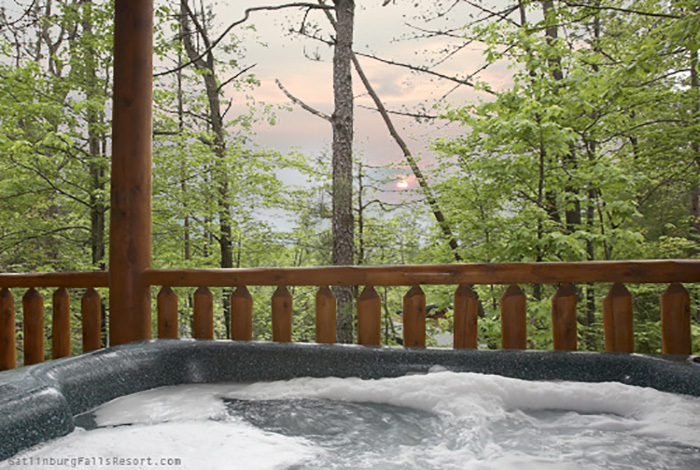 After a long day of enjoying all that the Great Smoky Mountains have to offer, recharge your batteries by slipping into the heart shaped Jacuzzi, or washing off in the vertical jetted shower spa. 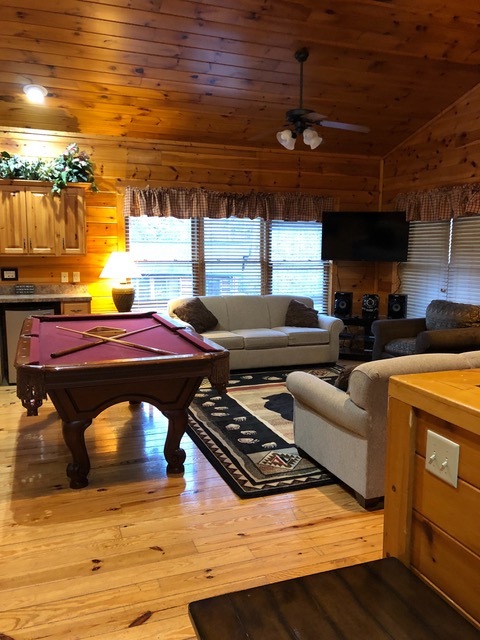 So come enjoy all that Bear Tracks at Hidden Valley has to offer all while being just around the corner from downtown Gatlinburg and Pigeon Forge in the pristine Gatlinburg Falls Hidden Valley Resort.